Overcast with rain showers at times. High 54F. Winds W at 10 to 15 mph. Chance of rain 50%..
A reminder about our deadlines at the Standard Journal: to place a classified, legal or display advertisement in the newspaper for the forthcoming week, we ask our customers and subscribers to please have in their information and payments no later than Thursdays at 4 p.m. to make the next edition for classified and print advertisements, and to have all legal advertisements that must run in by noon on Thursdays. 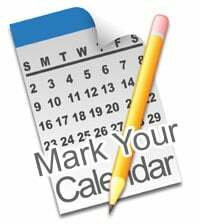 We also ask that readers who wish to get an item on the Standard Journal Area Calendar of Events to please include the item no later than Friday mornings at 9 a.m. two weeks prior to when the event is being held. Those who need more information can call us at 770-748-1520 and get extension 1 for legal and classified advertisements and subscriptions, extension 2 to get on the community calendar or to talk to the newsroom, or extension 3 for regular display advertising. Give back to the community in a way that will last a lifetime by helping a child and get involved in the Court Appointed Special Advocates of Haralson and Polk County. The organization utilizes volunteers to be an advocate of a child in juvenile court proceedings, as well as acting as a mentor for our local youth. Help out today and become a CASA volunteer by enrolling in classes by contacting the organization by email at contact@polkharalsoncasa.org or call 678-901-1021 for more information. Keep Polk Beautiful needs your help today. Sign up as a Once Around the Block Neighborhood Captain now and help monitor and remove litter and trash in your neighborhood. Twice-annual monitoring assists Keep Polk Beautiful in making the community a more beautiful place, and only takes 30 minutes. For more information contact KPB at rcook@cedartowngeorgia.gov. Need help dealing with a Federal agency? Rep. Tom Graves’ office wants to help. Contact the office at 706-290-1776 today in Rome. Visit tomgraves.house.gov for more information. Want to get involved in making Rockmart a better place? Join Rethink Rockmart and get involved in community cleanup efforts, revitalization of local neighborhoods and more. The group meets on the third Thursday of each month, when available. Get involved at facebook.com/rethinkrockmart. The Development Authority of Polk County board will hold their next session on Friday, May 10, 2019 in the conference room at the Development Authority of Polk County offices in Rockmart. Need more information? Call the DAPC at 770-684-5686. The next meeting for the Cedartown City Commission will be held on Monday, May 13, 2019 at 6 p.m. in the Commission Meeting Room at City Hall on East Avenue. Work sessions are additionally held on the first Mondays of the month, if necessary. Visit Cedartowngeorgia.gov for more information, or call 770-748-3220. The Polk County Board of Education is meeting again on Tuesday, May 7, 2019 at 6 p.m. in the Board meeting room for their forthcoming community input and work session. Find out more about taking part in board meetings by visits www.polk.k12.ga.us/Board. They’ll meet again following that for their regular session on May 14. The Rockmart City Council is set to meet for their next session this Tuesday, May 14, 2019 at 7 p.m. in the council chambers at city hall, located at 316 N. Piedmont Ave., Rockmart. For more information visit Rockmart-ga.gov or call 770-684-5454. The Polk County Board of Elections will be gathering for their upcoming monthly meeting on Tuesday, May 16, 2019. Contact the Board of Elections for more about times and forthcoming issues before members by calling 770-749-2103. Also, call the office to learn more about registering to vote or what qualifications are required to be a candidate for office. The City of Aragon will be back to work for their monthly work session at 6 p.m. and regular meeting at 7 p.m. on Thursday, April 18, 2019. Contact the city at 770-684-6563 to learn more about the upcoming meeting, or to address the city council during the regular session. Join the Polk County Commission for their upcoming work and regular sessions, one held on Monday, May 6 for the work session and and the other coming up on Tuesday, May 7 for the regular session. Work sessions monthly begin at 5:15 p.m. on the first Mondays of the month unless otherwise noted, and at 7 p.m. for the regular session on the first Tuesday of the month. Check back for agendas and more at Polkstandardjournal.com. Want to speak to the commission? Get on the agenda for their April work session by calling 770-749-2100 and seeking out County Clerk Dawn Turner. The City of Braswell’s council session is held on the first Tuesday of each month at City Hall, located at 6997 Braswell Mountain Road. Their upcoming meeting will be held on May 7 at 7 p.m. Call 770-684-7979 for more information.